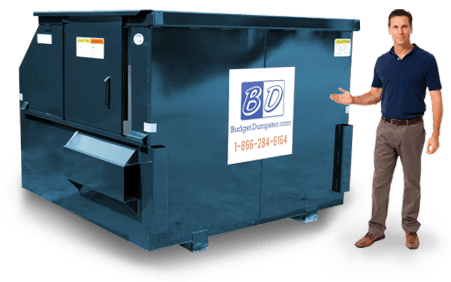 At Budget Dumpster, you can find the best dumpsters for your business at the best prices in the area. We know you don't want to have to think about your weekly trash pickup, and that's why we make our set up as simple as possible. Our dumpsters are available with a one-year contract and they're easy to set up. Every business is different, and that's why we offer 4 different size options. Our dumpsters range from a small 2-yarder up to a gigantic 8-yarder. You're sure to find something that suits your needs. 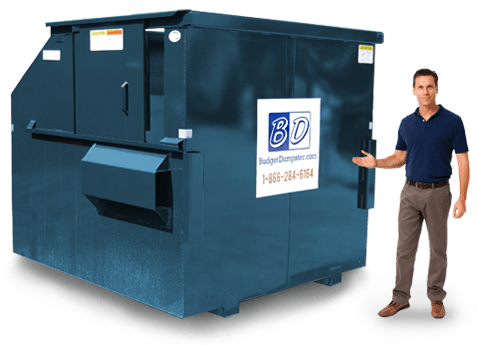 Once you get everything set up, you won't ever have to worry about whether or not your dumpster will be serviced. You can trust that everything will go smoothly each and every time. If you want to switch away from your current hauler, or if you need to set up a new service for your business, give us a call and we will handle everything for you! Not only will you be getting the best dumpsters by renting with us, you're also getting top- notch customer service. Our customer service representatives are well-versed in the waste removal industry and they are able to answer any of your questions. 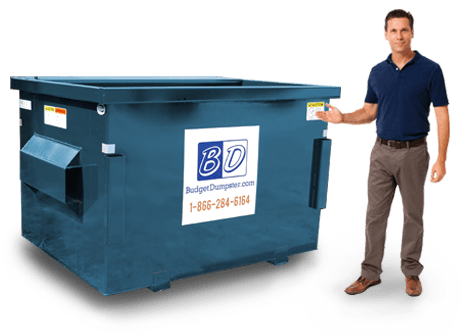 Renting a dumpster is unknown territory for most people, and we're happy to help you through the process until you're completely comfortable. Our services are transparent, and we don't use tricks or gimmicks just to make a sale. You'll know exactly what you're getting in to, and you'll want to sign on for another year when your contract expires. The 2 yard dumpster is the smallest option available for permanent rentals. 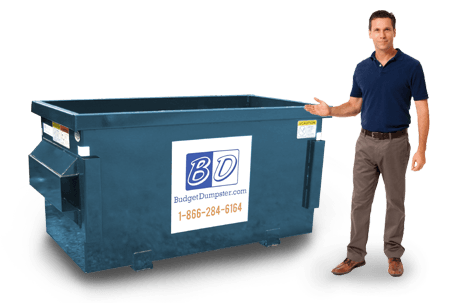 This is the perfect size for those who have a small weekly trash flow, have limited space for dumpster placement, or have a tight budget. This dumpster might be small, but it can still hold about the same amount of debris as one pickup truck. It is incredibly easy to load with walls being only three feet high and it can be placed practically anywhere. Common users of the 2 yard dumpster include small restaurants, small businesses and offices, and small apartments. The 4 yard dumpster is the prefect in-between size for those who are looking for something that's not too big and not too small. It's twice the size of the smaller 2-yarder, and can hold about the same amount of debris as two pickup trucks. Its dimensions are 6 feet wide and 4 feet long with side walls that are only 4.5 feet tall. It's easy to place just about anywhere on the property and just as easy to load up with as much as 1,000 pounds of waste. The 4-yarder is a great fit for a variety of business, places of worship, service stations, small grocers, and small-to-medium offices. The incredible versatility of the 6 yard dumpster makes it our most popular and most commonly rented dumpster size. It will hold up to 1,400 pounds of debris, which is about as much as three pickup trucks can carry. There is a sliding door on the side to allow for easy access into the dumpster with heights that average 6 feet tall. The larger dimensions of this size allow for the disposal of occasional bulkier materials. It is a great option for large office buildings, large apartment buildings, grocery stores, hotels, and strip malls or retailers. The 8 yard dumpster is the biggest size available in our suite of commercial dumpsters. It can hold up to 1,600 pounds of debris, which is about equivalent to what 4 pickup trucks can carry. The 8-yarder towers high at 7 feet tall, but it also features a sliding door on the side so you won't have to lift any trash bags over your head. It is great for heavy duty use and for those who have a large amount of weekly trash flow. Common users of this size dumpster include large offices up to 25,000 square feet, warehouse, distribution centers, apartment complexes, shopping centers, and manufacturing plants.